Why not send your child to cooking camp this summer! There are many culinary camps to pick from all over the country. The best part is they are still accepting enrollment for those procrastinating parents! 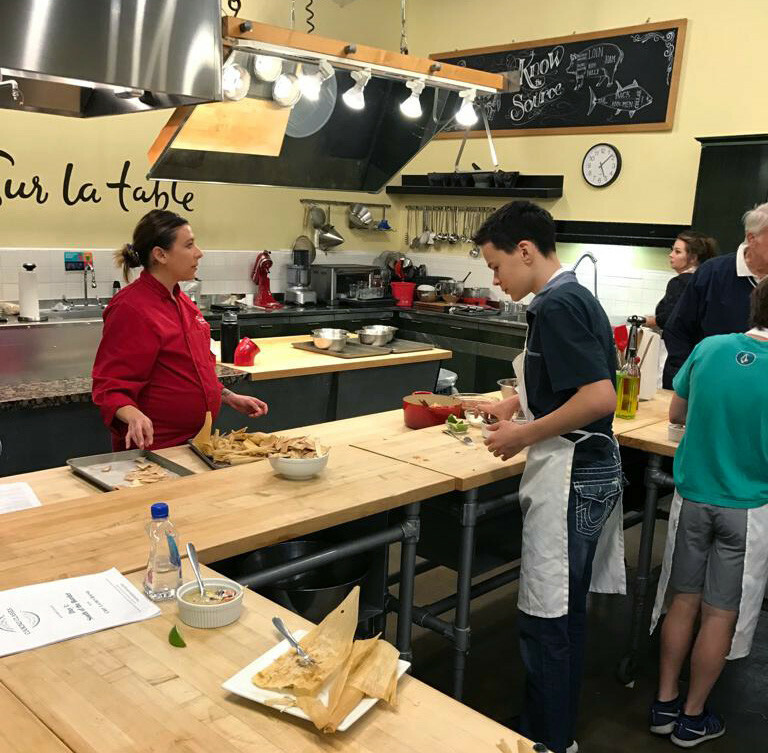 At these camps your children will be taught plating methods, knife skills, and how to sauté seasonal vegetables by the professionals. Plus, they will get to learn all of this in a institute’s kitchen - so no clean up hassle for you! If you want to take it a step further you can sign your child up for farm camp. They will learn not only how to cook their food but how to grow it as well.. they may possibly be able to teach you a trick or two after camp. This beautiful store front filled with the most expensive kitchen accessories also doubles as a summer culinary camp for kids. 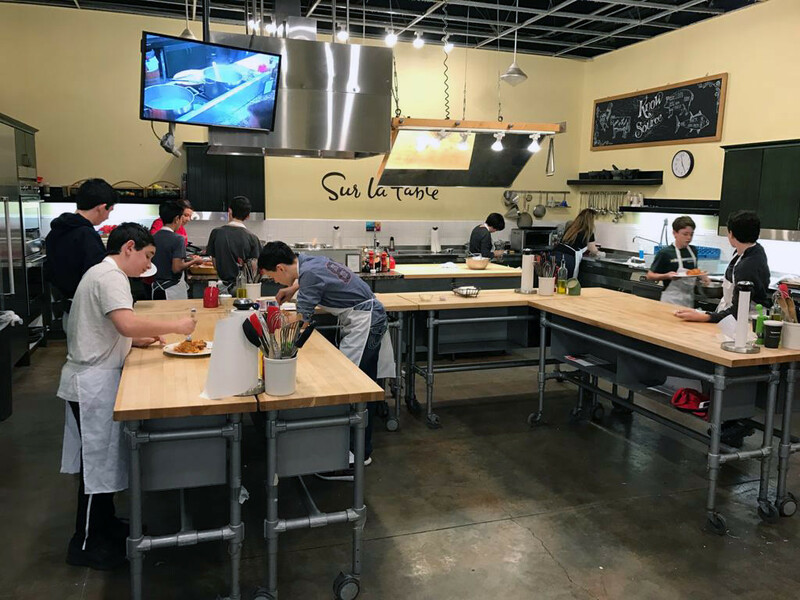 Kids from ages eight to seventeen are invited to join in their - Science in the kitchen classes as well as their baking classes known as - Baking around the world. These classes teach professional grade recipes from tiramisu to cultivating a buttermilk sauce from scratch. Admission - $250 weekly for Five 2 hour sessions - available Monday through Friday at many Sur La Table locations. If you are serious about enrolling your child to learn knife and cooking skills then this is the camp for them. In this intensive course your child will learn how to cool dishes from Italian to Chinese and every culture in between. Weekly they take the kids to the Union Square Greenmarket to collect the ingredients they will need for each recipe during the week. This method will teach them how to use ingredients that are in season. Each class is two and a half hours Monday through Friday. Admission - $495 weekly in SOHO, NYC - ages ten to seventeen welcome. This summer course is sure to teach your kid a thing or two about gardening. By the end of camp they will surely have a green thumb. Each kid will learn how to tend to a plant from sewing the first seed to how to harvest it once ripened. Full meals and snack preparation will be taught within this course. Caution in this class your child will get messy! Admission - $259 weekly, located on 710 South Avenue Westfield NJ. Ages four to seventeen welcome to there four 3 hour sessions Monday through Friday. This summer camp is taught recipes by weekly theme. They will learn Italian Tapas to French cuisine. Your child will be equipped with a Chef’s hat and many new recipes because each day a new one is introduced and never repeated. Admission - $200 to $425 depending upon chosen class length with options of 3 or 6 hour classes Monday through Friday. Many locations are available along the east coast and ages four to fourteen are welcome. This summer culinary camp lives up to its amazing reputation. Each child will learn how to tend to plants as well as animals. They will also be taught how to harvest eggs and produces all while learning how to whip up recipes such as apricot crumble pie and zucchini fries. Admission - $380 weekly for members & $420 weekly for non members. Ages five through thirteen are welcome to this camp located in Pocantico Hills New York. This camp is six hours Monday through Friday. This culinary course teaches the very basics which includes cleaning their vegetables and the correct way to chop them. Of course they will be taught the correct seasonings to use and the method to sauté. The course also focuses on farm chores including grooming different animals and how to harvest eggs. This is truly a farm camp. Admission - $175 weekly for members & $215 weekly for non members. Camp is held in Cincinnati, Ohio for ages eight through twelve. Each class is five hours long Monday through Friday in July or August. This course focuses on organic farming and the use of organic foods. They will learn the methods of organic gardening and how to prepare the foods they harvest. The course will also include hiking, arts &crafts. Admission - $285 weekly for kids from five years old to thirteen. Class location is in San Diego, CA for six hour days Monday through Friday. This vibrant course varies from week to week beginning with foods focusing on colors and ending with comfort foods such as doughnuts, pizza, pies &pretzels. Kids that are age approved will be invited on field trips to the local farmers markets to culture them with foods found throughout their neighborhoods. Admission $45 - $445 weekly. Class location is in Chicago and ages two to sixteen are invited. Class durations vary according to age. This camp is the definition of sleep away camp. Your child will learn everything from how to set up a tent to how to make arrows. At this camp they will also harvest berries to mushrooms. The children will use these ingredients to cook up their meals daily. Admission - $1,200 weekly, welcoming ages seven to thirteen. Class location is in Great Barrington, MA with camp sleep overs Monday through Friday. This camp truly prepares a child interested in attending culinary school full time. The course will show them the ins and outs of restaurant life. These campers will have a chance to work CUESA’s kitchen and learn how to prep work stations while practicing kitchen techniques. Guest Chef’s from around the city will also assist with teaching select class dates. Included with in this course is a sleep away field trip to the Eatwell Farm in Dixon, CA. While on the trip each student will be taught how to collect eggs, harvest veggies, milk cows and cook using an open campfire. Admission is $650 weekly and welcomes ages nine through twelve. Class location is San Francisco with day camps on Monday through Wednesday & sleep over camp on Thursday through Friday.